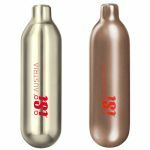 iSi began in the 19th century, in Vienna, Austria, producing soda machines and soda siphons under the name Carl Pochtler AG. They began making the CO2 chargers for making soda water and the N2O chargers for creating whipped creams, soups and more. 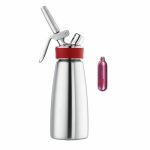 In the mid-20th century, expanding to other countries such as Romania and Yugoslavia, this family owned and run company developed disposable capsules for preparing both soda water and whipped cream. Export to other European countries and beyond soon followed, with a legal trade name change to iSi Metallwarenfabrik, which would later become today’s iSI Group. They are now one of the international leaders in the manufacture and innovation of pressurized gas chargers and systems.